This application supports you in writing your I.M, email, facebook statuses and tweets to make your life easier! Tap the first letters of a word and let writing assistant find the matching words, so you don't have to type the full word. 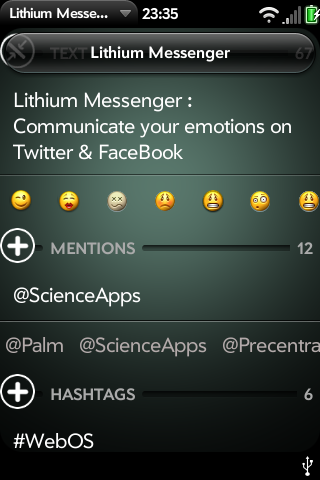 Choose Smileys, Mentions and Hashtags with a single finger gesture. Add links to websites (with bit.ly short URL), upload Photos (Twitpic), upload Videos (twitpic) and Maps (GPS or location of an address with Google Maps). Shorten your text with automatic abbreviations. 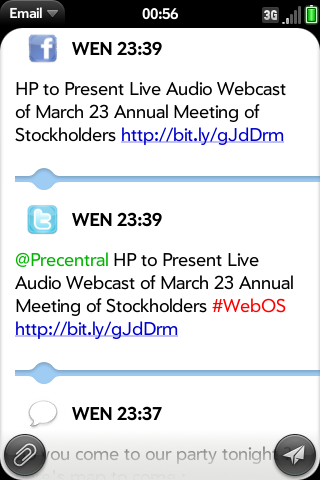 Translate your message or tweet to english, french, german, spanish. 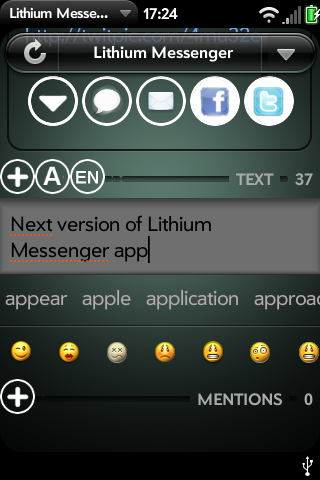 Lithium Messenger is the first application that allows you to create a link between your various social networks, email & SMS. This Application lets you keep in one place all your messages from twitter, facebook, email, SMS and export them in a safe place. 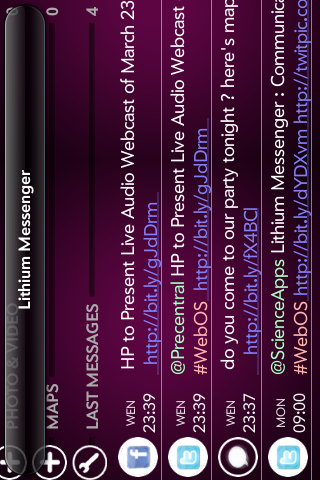 * To load your message in WebOS messaging or email apps. - Stock phrases. Add, edit, reorder, delete stock phrases. 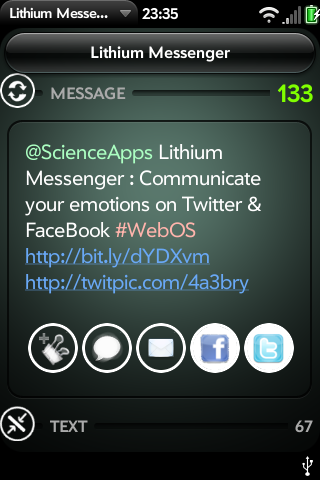 - Toggle views : hide smiley, hide hashtags & mentions.